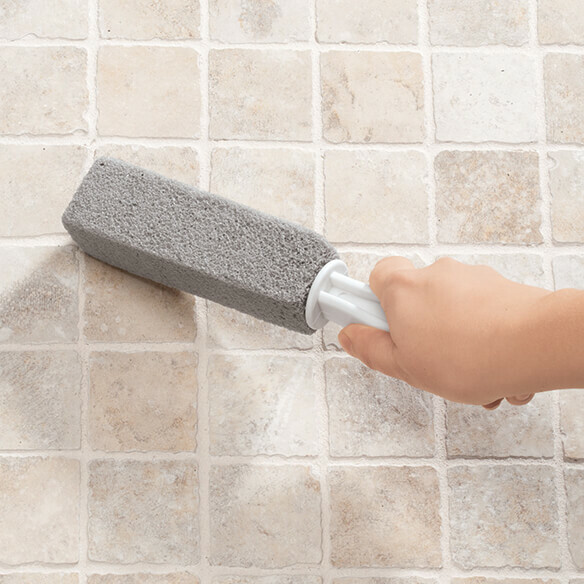 Grout stain erasers buff away stubborn stains with the power of pumice. Gentle abrasive action scrubs away tough dirt and stains on tile grout, pools, grills, porcelain fixtures, shower floors, steel and stone. No more harsh chemicals or fruitless hours spent cleaning. 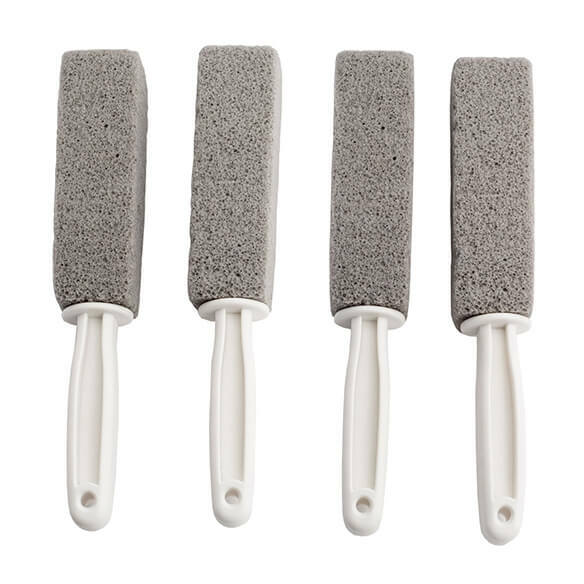 Set of 4 includes 2 grout cleaners measuring _2"W x 3 1/4"L x 3/4"H and 2 measuring 2"W x 3 1/4"L x 2"H. Imported. Note: handles no longer included. We have grout we have trouble cleaning so I thought I would give this a try.